The hugely popular nameplate that helped Hyundai break into the Indian car market, is now back. 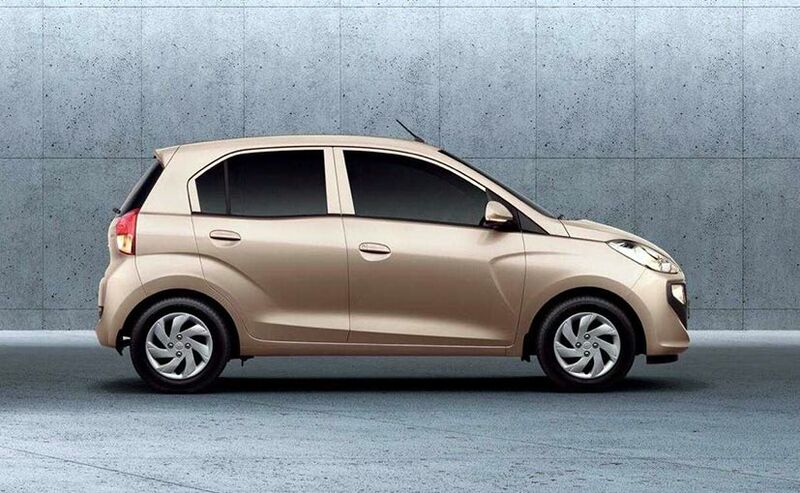 The Hyundai Santro is no longer quite the tallboy it used to be. But there is plenty here to loom forward to. The legend is back - no that's not the company's tagline for the all new Hyundai Santro, but all my own. 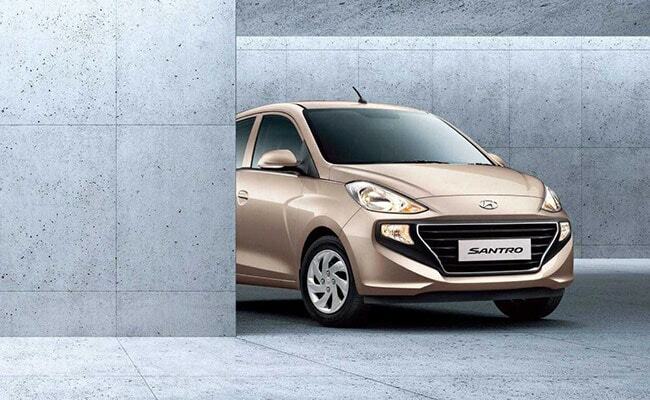 Once the car that was synonymous with Hyundai, the Santro nameplate makes a comeback on the new entry hatch from Hyundai. And we have driven it - albeit briefly on the Hyundai test track at its plant outside Chennai. The Santro will launch with a petrol and CNG option, and there will be AMT on the petrol from word go. Hyundai is calling it India's favourite family car. So I got the chance to drive both petrols - AMT and manual. The manual car I drove was dressed in Diana Green, while the 'Smart Auto AMT' as Hyundai calls it was a Marina Blue. The 5-Speed gearbox is a carryover from previous models, as is the 1.1 litre, 4-cylinder Epsilon engine - though it has been remapped and re-tuned to meet the Santro's needs. The engine puts out 68 bhp and has 99 Nm of peak torque, and has been reasonably well mated to the engine. The peak torque only kicks in at 4500 rpm mind you, but you still get ample torque for what would be city driving stop-start conditions. The engine's initial output is less zippy than I would have expected, and it takes its time to build up to speeds close to three digits. And while the engine has enough juice to meet the daily driving need a Santro owner would have, I would have liked to see more punch. The car's big redeeming quality is its handling, but more so its ride. The segment has seen some sporty cars (hey I am talking in the context of this segment! )with the likes of the Celerio. But the new Santro will best them. The ride quality is what I would push as the chief attraction for any potential buyer if I was Hyundai. The car feels supple, comfortable and stiff enough to give you a better sense of confidence than anything from the Maruti stable or even the erstwhile benchmark - the Renault Kwid. All of this though changed dramatically when I had the Santro AMT. Why? Search me - and even discussions with Hyundai product guys yielded no answers. The AMT felt like a different car. Slightly wafty at higher speeds, lacking the cornering or lane-changing crispness of the manual, and even the steering felt detached and a bit floaty. That it is not adjustable for reach or rake is a peeve too - but let me not digress. Honestly - I drove the AMT first, and was reasonably happy with the package - until the manual came along. So why the two cars were so different in character were only explained possibly by the fact these the cars we drove were pre-production cars and not the real deal as it were. But I do have confidence that the production model will meet the standard the manual has set in my mind. Now a quick word on the AMT. Hyundai says it has developed the gearbox in-house, and not gone shopping like all of its rivals did. The cost advantages of doing that will probably hold out for Hyundai only in the long run, but the company expects 25-30 per cent of sales to come from this variant. The AMT is quite smooth, and except for the very long and languid changes in the two lower gears, I was quite happy with its performance. The AMT will be a definite advantage in city traffic, and yes I can see many buyers opting for it. But like so many manufacturers, it's too bad Hyundai is also going to only offer the AMT on the Sportz or lower variants, and not the Asta. While that still means you get the touchscreen infotainment, it deprives you of the dual airbags - a big thumbs down in my book. The car looks modern enough, though is not what you would call pretty. The wide face is accentuated by the Hyundai signature cascade grille. The headlamps and logo move further back and away from the grille, and even the fog lights have moved further up. The car has slightly exaggerated creasing in the metal along its sides. While the one closer to the rear end is nicely done, the angled crease at the front fender and door is a bit strange. The rear is simple, and overall the car will not strike you as a 'tall boy' - even though it was teased as such. It is however the 'wide boy' if you will! It looks roomy and promises space for people and cargo. That in itself is a big win in this small car space. It is contemporary and modern looking. But somehow I had expected the Santro to knock our socks off by being gorgeous. It has not had that effect on me sadly. In fact it is perplexing why Hyundai would launch a car today with only a driver side airbag as standard. Yes ABS is also standard, but it was a good opportunity for Hyundai to go one up on the competition by making dual airbags standard. Luckily the car does have seat belts with pre-tensioners. The fifth passenger gets only a lap belt of course. Overall though the cabin will come across as pretty well finished and designed. There are some obvious bits that scream cost reduction - like the placement of power window switches at the base of the gearshift surround between the front seats (yikes, what?!). Yes Hyundai says this has been done to allow the front passenger to also access all windows for 'family usage'. But overall the cabin will give you a sense of modernity, pretty good plastics, and fit. The colour palette involves light beige, dull metallic finish plastics and black. Its all well put together considering the price point this car will operate at. The design is also nicely executed and I especially thought so in the case of the Asta trim, which is the top-end. The Diana Green in Asta had a special all-black interior with green accents to match the paintwork. That is only going to be on offer with the green, and Hyundai wants to test the market with this variant to see if people respond to that kind of customisation. To quickly run through the complete the colour lineup you will get the option of Typhoon Silver, Polar White, Stardust (dark grey), Imperial Beige (the launch colour - kind of a light gold), Marina Blue, Fiery Red, and that Diana Green. We have not been allowed to photograph or film the car today. So I cannot show you some of the things I am talking about. You get a 7.0 touchscreen infotainment system in the Sportz and Asta variants. It has Apple Carplay, Android Auto, Mirror Link and even voice commands. Nicely executed and certainly enough to challenge the Kwid's big touchscreen. There are steering mounted controls on the top-end too. The Santro sure promises a lot, and I will like to spend more time than the limited first drive experience I've just had. I would have been happier if it had a few things done differently - but that is largely the case on any car. The fact is that Hyundai seems to be gunning for a special positioning price on this car. And from the looks of things I would be very surprised if the initial launch pricing doesn't blow us away. We will have the prices at the launch in a few days like I said. So for now, the Santro is back. And seemingly with a bang.